Whew! What a hop! Another record! WOWEE! 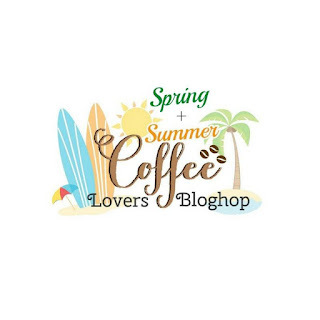 Thanks to all those who participated in the Spring/Summer Coffee Lovers Hop! Today I'm here to share the winner of the blog candy prize I shared the other day. 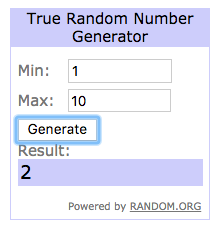 There were ten comments- Soooo I played random-number-generator game and look who it picked! Congratulations Karen! I'll contact you for address information. If you wish to pass on this prize (it may not be your cup of tea), I'll select another winner. Karen will receive this sweet little treat (and another surprise too. Woud you like to see how these beans roasted up? Well, here you go! I roasted up a batch this Sunday evening for my morning coffee. It should make my work week much more fabulous! PERFECTION. You should smell me...I smell like I've bathed in a batch of coffee grounds. MMMM... My kind of perfume! 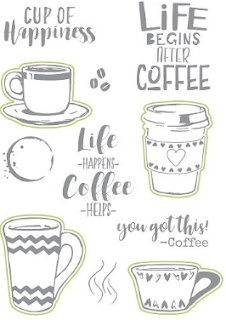 Helloooo there coffee lovers! Today I'm sharing a fun little giftie for one lucky hopper! 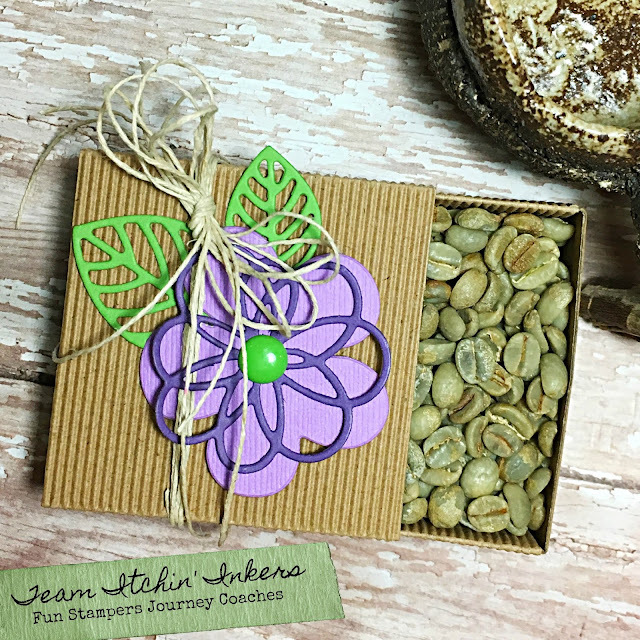 I created a mix of my favorite RAW coffee beans and tucked them into this adorable little matchbox. Have you ever roasted your own coffee beans? It's pretty easy and depending on how "tart" you want your coffee, you can roast them as dark as you want. I purchase my RAW "Green" beans from a roaster nearby and they are very economical. The good thing about green beans is that they never go rancid. Unlike roasted beans you get from the store, these beans allow you to make the freshest of the freshest coffee around. All you need is a stove, a pan (or popcorn popper) to roast them in and a little patience! My box contains a mix of three delish beans: Brazilian Estancia Lecy, Costa Rica Minte Brisas, (White Honey), Ethiopian Yirgacheffe. All are small beans with a variety of flavors so when mixed, they provide a nice and tasty blend. Now, let's get back to the box itself. How was it made? Well, first, I started off by cutting a matchbook die (this is a Steel Rule Die called "Matchbox" that fits in my Platinum Machine). 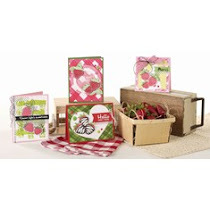 It's a must-have die and is very handy for making a variety of fun treat boxes. I used one Corrugated Stock Sheet to create my box and folded on the score lines/taped with White Liner Tape. After that, I moved on to cutting a little piece of Cocoa Powder cardstock and a piece of Whip Cream Cardstock. Then I used the Blooming Details Dies to create the flower for the top of the box. I wanted a pretty floral, so I used two shades of purple (Pretty Amethyst and Pretty Pansy) for the flower and some yummy Kiwi Slice green for the leaves. I stamped the "Life Begins after Coffee" sentiment from Coffee Helps set (This is the super sponsor prize Elaine is awarding one lucky hopper). I used Cocoa Powder, Oatmeal Cookie and Lemon Grass True Fusion Inks). I glued this image onto the cocoa powder panel and glued it into the bottom inside portion of the box before adding the beans. Take a peek inside...Pretty deeelish, right? Thanks for stopping by today. 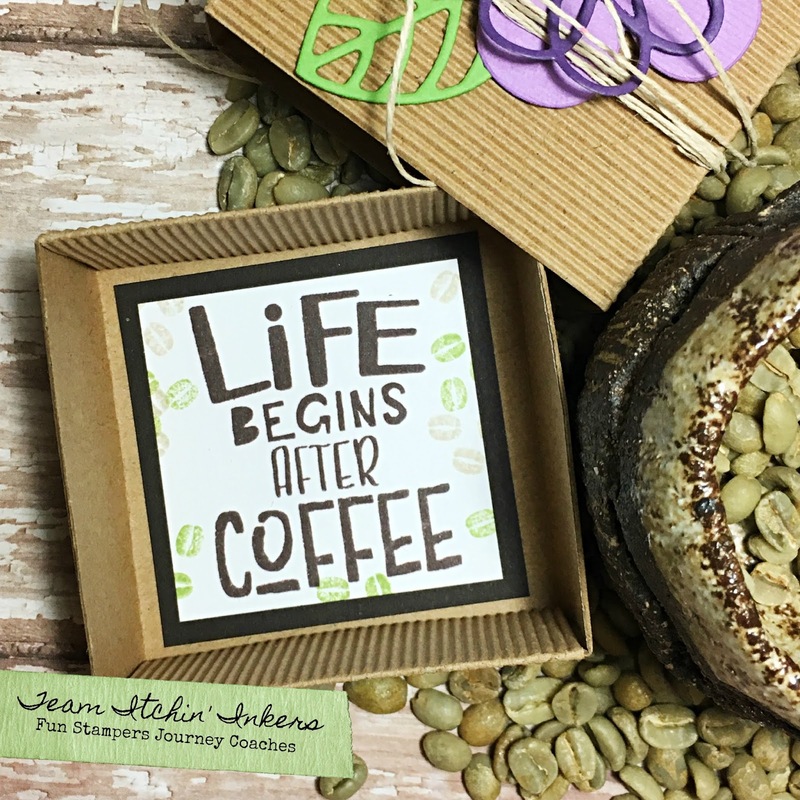 I hope you were inspired by this little creation and I hope you've enjoyed the coffee lovers hop. If you haven't had a chance to hop with us yet, make sure you do...Only a few days left before prize winners are picked! Get your entries in today! 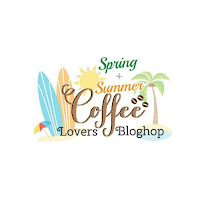 Coffee Lovers Spring/Summer Hop: It's Tea Time! Hello there crafty peeps! 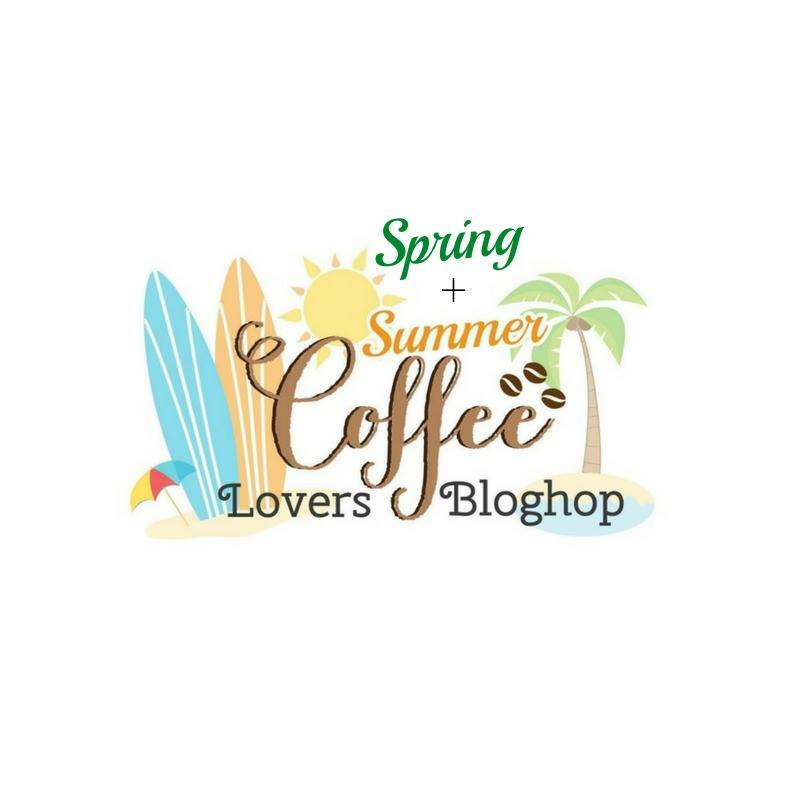 It's Itchin' Inker Kerry here and I'm poping in to share a card I created for the Coffee Loving Cardmakers Spring/Summer Hop that is in full swing! Did you know that my fellow Itchin' Inker Elaine is a SUPER SPONSOR for this hop? She is offering a fabulous prize to one lucky hopper? Yes! Elaine is offering THIS bundle to one lucky winner! How do you have a chance to win the prize? Well, just play along with us and create a coffee/tea/cocoa loving card inspired by SPRING/SUMMER and you'll have a chance at winning! Amy Tsuruta will choose a winner from all entries at the end of the hop. Yes, there are over 80 Super Sponsors ready and waiting to award prizes, so get to stamping! Scroll down to the bottom of the post to see all the deets for the hop! 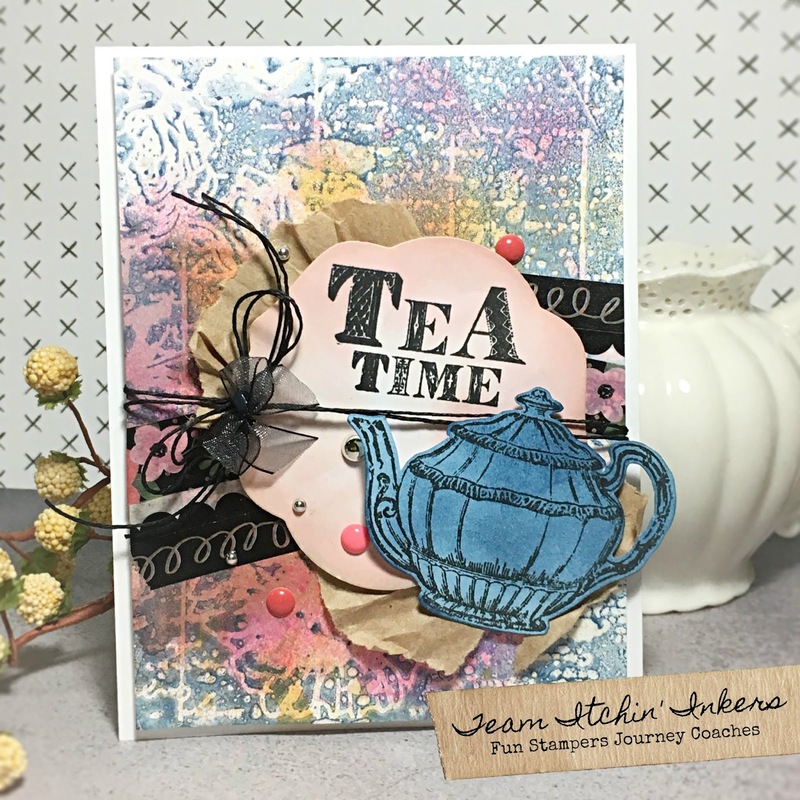 This was such a fun card to create. I enjoyed lifting the impression of the Embossing Folder from the Gel Plate! Adding color was the second step! 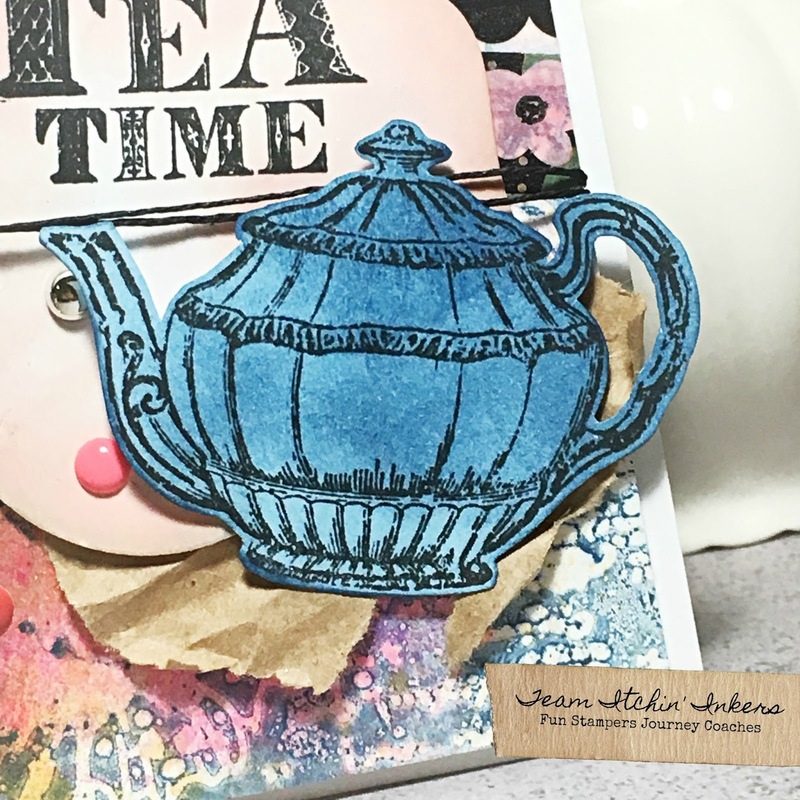 After that, it was stamping the teapot and distressing it with denim ink and my dauber. I also distressed the treat label die with bubble gum ink before stamping the sentiment with black licorice ink. To finish the card off, I tucked some kraft colored paper under the label to add a bit more texture. I hope you are inspired by this card. it is totally fun to create with the Gel Press and I encourage you to get yours out (if you have one) and get inky! 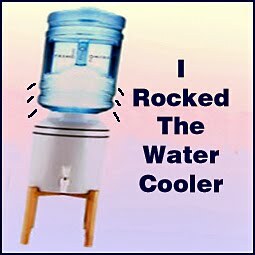 PS...If you don't have one, hop over to Elaine's shop and grab one today! To all who have followed my journey here and elsewhere, I am sad to announce that I have submitted my resignation as an FSJ Coach. As the new Coach Handbook was released yesterday, so did the exclusivity clause. 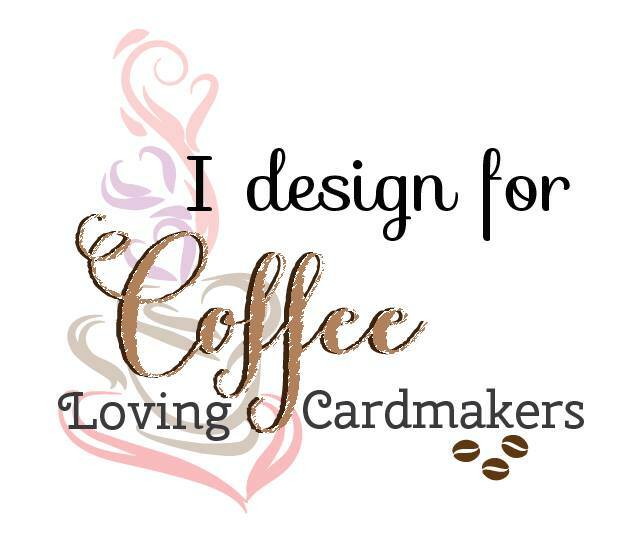 I contacted home office to share my current status as a design team member for Joy Clair (faith based clear photopolymer stamps) and Coffee Loving Cardmakers. I was given an ultimatum "Choose us or Joy Clair". I am a stamper. I love stamping PERIOD. I will NEVER choose exclusivity over support for the many fabulous stamp companies who work tirelessly to make their business a success. I choose to support the companies and products I love. I never became an FSJ Coach with the goal of having a business. I chose to join the coach community at FSJ for the fine products, the supportive and like-hearted community and for the joy of stamping. It was a nice perk to get a discount on products too. Unfortunately, whether I like the product or not, I love the stamping community and ALL of the companies that work so hard to design, create and sell their fabulous products to stampers and crafters all over the world. I cannot find it anywhere in my soul to be exclusive to one company. That just cannot happen for me. 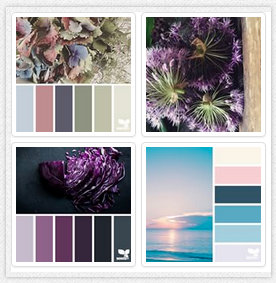 I love to create and make beautiful projects and share them with others. When given the opportunity to create projects for a specific company, I want to be able to and not have to justify myself to anyone. I want to apologize to my entire Itchin' Inkers team. I'm sorry I have to leave you without a direct upline but I will continue to help and support you in any way I can. 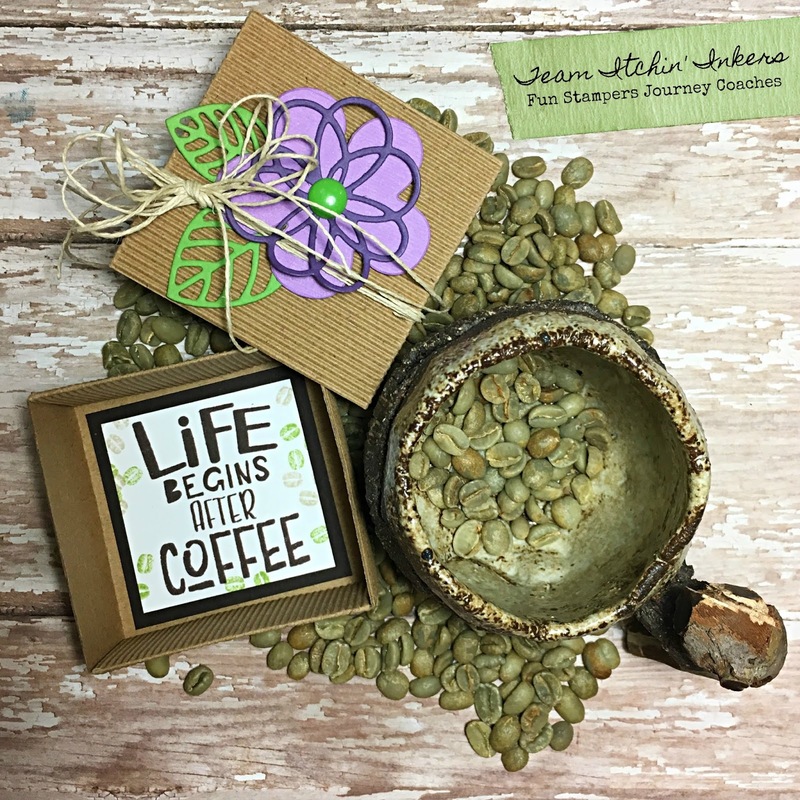 This blog will now become a place I will share my FSJ creations and will be a place where you, the readers can be inspired or perhaps help support my team with a purchase or two. Hello there Journey friends. Today I'm sharing a little card I created to send to a customer because I had an oopsie in a card kit package. Some days, you just need someone who's got your back...This little guy should help me deliver the oopsie goods and put a smile on her face...I hope. Did you know this little stamp can be FREE with a qualifying purchase from my shop? That's right! This is one of our GWP stamps and it is so cute! With an order of $75 or more, you can select this "Got You" stamp set FREE! The set includes the image you see above as well as the sentiment "I've got you covered!". It's a perfect little oopsie stamp, don't you think? I colored the images (bears, clouds and umbrella) with Copic Markers, cut them out and applied them to the Black Licorice stamped image using some Craft Glue. After adding them to the card, I embellished the bear with some added black Micron pen lines and a mouth. For the umbrella, I applied some Journey Glaze and then sprinkled with Sparkle Dust! I also added some blue to the sky and some shadowing around the bears and the raindrops before adding some Sparkle Dust to the rain drops. A simple background layer in Pineapple Smoothie helped set the image off on a whip cream card base. Ready to get this stamp for free? Feel free to shop my store! Our new Bloom This Way mini is choc full of gorgeous products that will get you ready for spring! 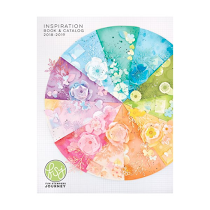 Our FULL SIZE inspiration book is overflowing with yummy product too. So head on over to my shop and start fillin' your cart! As your cart fills, so do your perks/benefits! Hey there crafters! I'm making a mad dash to finish my Christmas cards and I think I finally see the light at the end of the tunnel! While some of my cards won't make it to their destinations in time for Christmas, they'll be out the door before then and I'm happy about that! Heck, it's kinda fun when I receive a card in the mail after all is said and done! 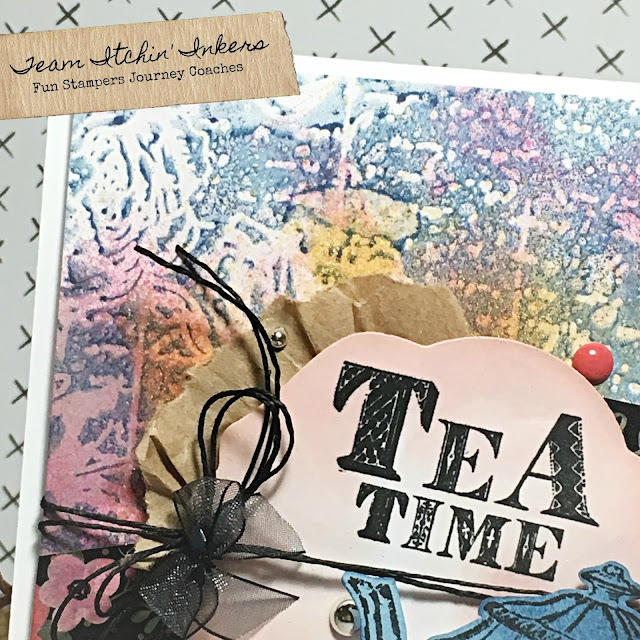 I created this card using some Cranberry Bliss ink on my Gel Press and then I rubbed a bit of water on top of it with my finger. Since it is an oily ink, the water and oil didn't really want to get along but I pushed them to "LOVE ONE ANOTHER". Once they were "blended", I used a tissue to blot some of the really juicy areas so that my cardstock wouldn't get too oversaturated. I layed the cardstock onto the Gel Press and rubbed it a bit then lifted it off to reveal the fun textured surface. I opted not to add any stamped impressions this time because I wanted to apply the "texture" using my sewing machine. I machine stitched some meandering lines onto the cardstock then applied some Silver Sparkle scalloped washi tape and a thin scrap of Candy Apple Red cardstock. I stamped the alpha letters (to spell Merry) using the Outline Bet stamp set and Black Licorice ink then fussy cut them using my Pro Shears. While this stamp set does have an available coordinating die set, I tend to love my cuts a little closer to the line. I opted NOT to use the diecuts this time so I could get pretty crisp and close to the stamp line. I love these little scissors for super fine and precise fussy cutting. After they were cut out, I used Sparkle Silk to paint over the letters for some shimmer and shine. I also flicked a bit onto the cardstock panel. Assembling the festive "swag" and adding snowflakes was next. I threaded a wooden heart button onto some Natural Thread and then draped it across the page. I adhered the button to the Snow Blooms Snowflake diecut (colored with Liquid Color on the Gel Press) on the right with a foam square. The red/white bakers twine was tied off in a bow (around the foam square) and draped in the same manner. To finish the card off, I assembled the "Merry" sentiment and added some styrofoam snowballs and a few punches of silver cardstock, added some pearls and mounted the whole panel onto a Kiwi Slice piece of Cardstock. Such a fun card and I'm one more card to the finish line! WOOP WOOP! Another one bites the...snowflake! WOOP! Another Christmas card FINISHED! I stamped and colored this adorable snowpeople set (Snowmen Days) using Black Licorice Ink and Color Splash Watercolor Pencils. After stamping and coloring the background, I mounted it onto Candy Apple cardstock then colored and cut out the snowpeople, I fussy cut with my Pro Shears then doodled a snow scene to match the snowpeople. I attached some Sweet Berry Gingham ribbon and some Natural Thread to the stamped panel I applied a bit of watercolor to the snow scene then cut it out so that I could assemble it onto the cardfront. Once assembled, I tucked the snowpeople behind one of the snowpiles. The panel was then mounted onto a card base and that was that! Finished! 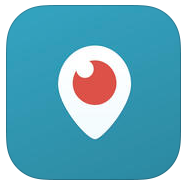 Kerry's on Periscope! Follow her!! !